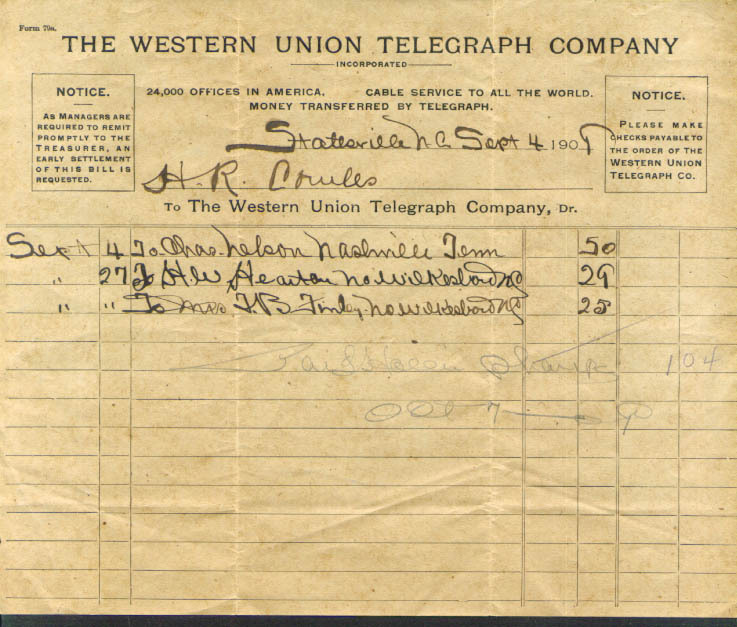 For three telegrams sent by Cowles. 7 x 8 1/2". An item of the business correspondence of Hugh R Cowles, [H R Cowles], of Statesville, North Carolina, cousin of U S Representative Charles Holden Cowles, who served in Congress 1909-1911.